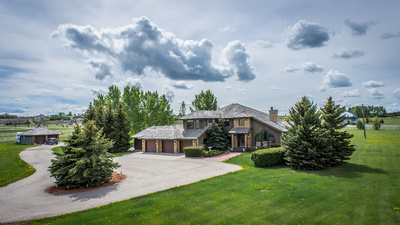 View all Luxury Homes for sale in Calgary! We welcome you to Calgary's premier source for luxury homes. Whether you seek that charming villa, a golf course estate, or a home with a mountain view, let us guide you in your search for some of Calgary's finest residences, from the comfort of your own home or office. High-end luxury homes for sale in Calgary can be found in every quadrant of the city, although the highest concentration is in the southwest part of the Calgary. These homes tend to be priced at over $1 million and offer a wide range of amenities, interior features, and exterior features. The communities that contain these types of homes are just as unique as the properties themselves. They range from old and mature to new and modern, each offering unique features and amenities for residents to enjoy. With so many locations and home styles to choose from, Calgary is a wonderful area to find luxury properties that provide exclusive lifestyles. A trend amongst professionals is quickly emerging in the Calgary luxury real estate market as many choose to move to the suburbs of Calgary to enjoy the peaceful living of the countryside and the close proximity of the Rocky Mountains. Yet at the same time, a great number of people that are newly arriving in our city are seeking high-end, luxurious homes, condominium suites in downtown Calgary to minimize their commute time. Today's new luxury homes are a far cry from even the most opulent mansions of a half-century ago. Just a quick look through the luxury homes on our site will reveal a host of new "must have" luxury home components that earlier builders of luxury real estate never considered - or dreamed of. When searching for dream homes in Calgary, each buyer wants something unique. For some, they’re interested in villas backing onto a golf course property in Calgary, while others would like estates tucked away on a quiet street surrounded by trees and complete privacy. There are also buyers who would like more convenience by investing in luxury penthouses in high-rise buildings. Fortunately, Calgary has virtually every type of luxury property one can imagine, including plenty of land where buyers can build homes that are customized to their every want and need. Buyers can find luxury homes starting at $1 million all the way up to $10 million mansions for sale in Calgary, there are properties that can fit in any high-end budget. To help navigate through these luxurious real estate listings to find the best choice, every buyer should seek help from a luxury real estate agent in Calgary who has experience in dealing with higher-end properties. Their understanding will ensure the unique set of challenges that this type of investment presents can be easily overcome. Even more important, REALTORS® have listings available at their fingertips and access to homes that can be privately viewed. Individuals who want to get started searching for luxury real estate listings in Calgary on their own can do so online. Searches can be done by location, price, neighbourhood, or many other options to make it easy to narrow down choices. It’s important for buyers to read through all the information on each listing to determine if it’s the right fit. Once a potential investment is found, a real estate agent should be welcomed into the process to create a buying strategy. With more home buyers choosing to move to the suburbs of Calgary, luxury homes are on the rise. Many choose to live in the suburbs where they can enjoy the countryside while others are more interested in the conveniences of living downtown. Both options offer high-end homes and condominiums that can make for excellent places to live. Making these properties even better is the fact that most have been recently built with all the amenities buyers could want. Even resale mansions have been updated to provide better aesthetics and more enjoyable luxuries within the interior. Decadent, spacious, and truly memorable luxury homes in Calgary have been designed to be seen by buyers who want the best of the best. With features ranging from opulent entryways to soak-in tubs, these homes have much to offer the discerning homeowner. Whether you’re after that feature-rich type of property or would simply like a large open space to customize, there’s no shortage of beautiful homes available to choose from in Calgary. Located in some of the most beautiful luxury communities in the area, these high-end homes quickly come and go on the market. If you're looking to purchase a home right now, then it's important to have the most up-to-date listings so you can see all that is available. Whether you're a buyer who is looking to spend $4 million or can go all the way up to $12 million on a luxury home in Calgary, it's important to look closely at each property to make sure it offers everything that you want. Fortunately, there is no shortage of beautiful places available to choose from, each offering unique features based on size and location. The best advice for luxury home buyers is to know what you want when you talk to your agent so they can hand select the best choices for you. From having a gorgeous landscape with tons of grass to being downtown in a high-rise condo, they'll select the perfect places for you to consider. Their expertise in this field will make the entire process much easier and actually enjoyable from start to finish. Looking at luxury homes listings in Calgary is a true delight for visitors just as much as it is the owner. These have memorable architecture and features that make the design of the home truly stand out. Details like opulent entryways, custom stone exteriors, soak-in tubs, wrought-iron gates, and refined landscaping are just a few that luxury homes in the area encompass. It’s also common that these types of dwellings have large open layouts that make it easy to customize the interior to their liking. All of these details can provide any discerning homeowner with the property that they want, complete with features that make it both comfortable and beautiful. Luxury properties in Calgary are unlike any others. The bespoke architecture echoes influences from around the world and the amenities are those that offer incredible convenience. With some estates offering 8 + bedrooms, acres of land, marble floors, energy-efficient windows, stone fireplaces, and exotic hardwood floors, they are genuine pieces of art. Those who are lucky enough to live in them will find that every last detail has been thought of to create a one-of-a-kind space. Whether looking to purchase a home that’s $3 million or $25 million, it’s important to have the most current MLS® listings available. These properties can sell fast, so having up-to-date information will ensure the buyer doesn’t see homes that have already been taken off the market. Within these listings, investors can see all the information they need to know, including the location, features, year built, and a number of rooms. There are many different luxury homes available to choose from, giving all buyers ample opportunity to find their dream property. Real estate agents specialize in selling luxury real estate offer many advantages for individuals who are still in the buying process. Not only will they help sift through the listings to find the best choices of homes, they can also provide advice based on their expertise. Ultimately this can mean a great experience finding a luxury property, from the time a buyer looks online to the time they are able to move in. Location is by far the most important feature of a home that buyers must consider. They should look at things like public transportation, nearby access roads, and surroundings to determine if the location is acceptable. After all, even the most luxurious home can become a source of frustration if it’s not located where the buyer would like it to be. Other features that are necessary to think about include floor plan, backyard, safety, privacy, security, number of rooms, and garage. Every buyer wants something different out of their home, so prioritizing features is a must to make the process easier. Each person should first make a list of what their “must-haves” are in a property. This might be a nice kitchen, large backyard, or pool. The “would be nice to have” list is the next to make. This could be a spacious master bedroom, big closets, ample storage, or open layout. Once these lists are made, it’s much more clear what is a priority for the buyer so they know what to look for when they start seeing properties. Luxury home buyers have many options for properties in surrounding communities, but it’s recommended to start the search in the most affluent communities first. Even if these aren’t ideal neighbourhoods for the buyer, it will give them a good idea of what to expect when looking at and buying luxury homes. Some of the things they’ll learn by doing this include: what certain real estate terms mean, which layouts they prefer, and what neighbourhoods are the most suitable for them. Comparing homes like this is one of the best ways to get comfortable with luxury real estate. Many of the oldest luxury neighbourhoods in Calgary date all the way back to the early 1900s. With such historic roots, these feature architecture such as classic Tudor and Colonial styles that just can’t be found today. 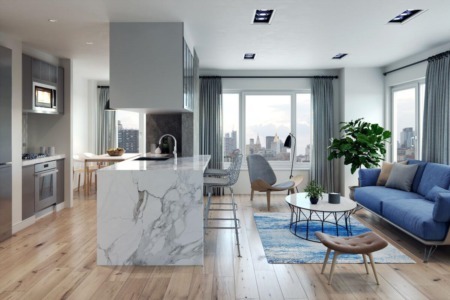 To accommodate buyers who are more interested in recently built homes, these communities also feature remodeled homes and upscale condos that have modern architecture and designs. A couple of neighbourhoods where this mix of historic and modern properties can be found include Elbow Park, Mount Royal, Britannia, and Bel-Aire. Freshly developed neighbourhoods featuring brand new high-end homes have recently started taking shape throughout Calgary. These offer properties with a wide variety of architecture styles, appealing to the tastes of many more buyers. Silverado and Riverstone of Cranston are two in particular that have a selection of stunning riverfront properties with views of the rivers or snow-covered mountain peaks. Communities like these have become go-to options for individuals who want to own homes within new and exciting locations. When buyers tour these different types of locations they’ll get a good idea of what they like the most. Some will find that they are more suited for the historic areas while others prefer being in modern areas near the action of downtown. Another advantage of touring different locations is the opportunity to see places that buyers might otherwise not consider. Viewing Calgary’s estate neighbourhoods in person provides a completely new perspective that may result in seeing charm and features that otherwise could be missed with online searches. With so many choices, luxury home buyers today don’t have to compromise because they have ample opportunities to find exactly what they want. Over the past 10 years, the luxury real estate market in Calgary has heated up. Newly constructed communities have delighted buyers by offering fully equipped move-in-ready homes. Alternatively, communities that are still under development give buyers a chance to customize every aspect of their dwelling. With so many options to choose from, buyers today never have to settle for something they don’t want. Builders have adapted to the market to make finding a luxury home incredibly easy. With all of that being said, it’s important for buyers to realize that there is stiff competition out there due to the heightened demand for luxury real estate. Anyone who finds a property that they love has to move quickly if they want security in not missing out on the deal. Even just a few hours could make all the difference in locking down real estate, especially in highly desirable areas that boast exclusivity. It’s no secret that million dollar homes are all over Calgary, from quiet and private locations in the mountains to stunning lofts in the downtown area. However, even though there is no shortage of options, it’s still important to understand that this market is unique. With home prices typically ranging from $4 million to $12 million, the location, amenities, and features can differ greatly. Those who are living on the outskirts of town are likely to get more for their money than they would closer to the downtown area, and would have more of a selection available as well. When it comes to finding a luxury property in Calgary, there’s no substitute for the expertise, experience, or in-depth knowledge of a real estate agent. They work countless hours to help their clients find their ideal homes, whether that’s a starter home or a $12 million estate. How do they do this? It starts with listening to each client to get a complete idea of what they are looking for. Once they have that information, they seek out homes that only fit those criteria so the client doesn’t waste their time. With luxury real estate in particular this can help narrow down the choices so buyers only see properties that are within their budget and that satisfy their requirements. Luxury real estate agents in Calgary understand that these types of purchases require a completely different approach than traditional homes. Not only does this apply to the negotiations but it also applies to the paperwork and contracts. This is why it’s so beneficial for buyers to have their help from the very start. With something as expensive as a luxury real estate, nobody wants to leave the details up to chance. Luxury REALTOR® make sure this doesn’t happen because they don’t want their clients to miss out, pay too much, or end up in a location that they don’t like. They are open and honest about the neighbourhood, pricing, and details of the deal so their clients can make the best decisions possible based on their wants, needs, and budget. Nothing is more important the location of the home and not just for resale value. There are many things that can be changed, but the location is not. Even if a long trip to work might sound great right now, it could end up being a source of aggravation in the future. Every buyer needs to make sure they genuinely like the location of their property. As stated above, it’s important for buyers to make lists that prioritize what they must have, what they want, and what they would enjoy having. Writing these down really helps with the process of buying, especially when it comes to narrowing down neighbourhoods. Luxury homes are incredibly expensive no matter where in Calgary they are located. This is why it’s always recommended to work with a REALTOR® who can help with the buying process. It’s their job to make sure their clients have all the information they need to buy the ideal home for them. With their help, it’s far more likely that any buyer will find the luxury home of their dreams and have a successful transaction.